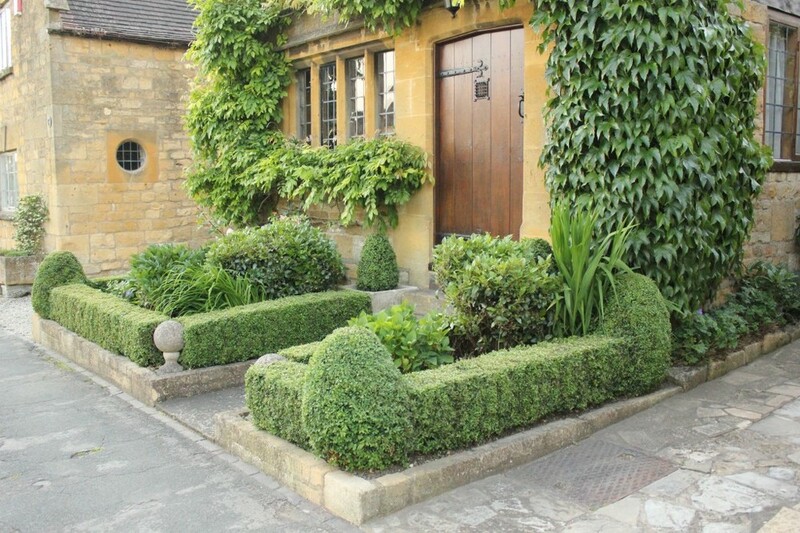 I loved the simplicity of this front garden, I think you have to be very restrained! 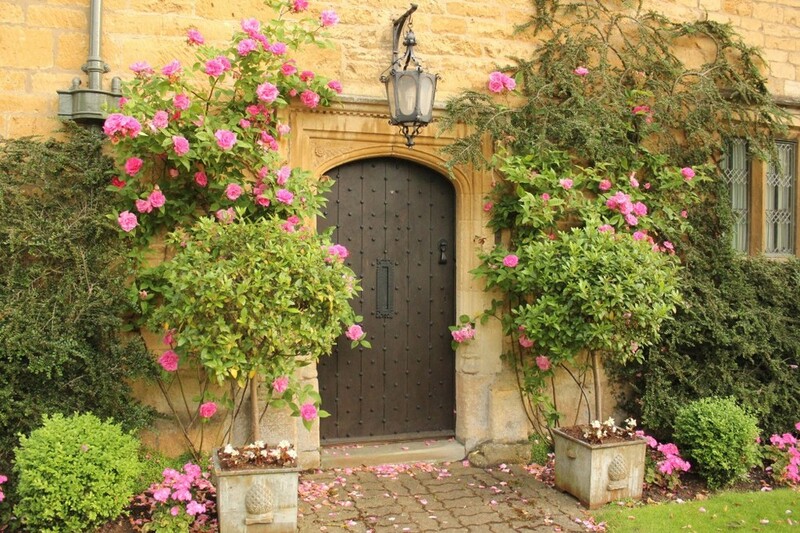 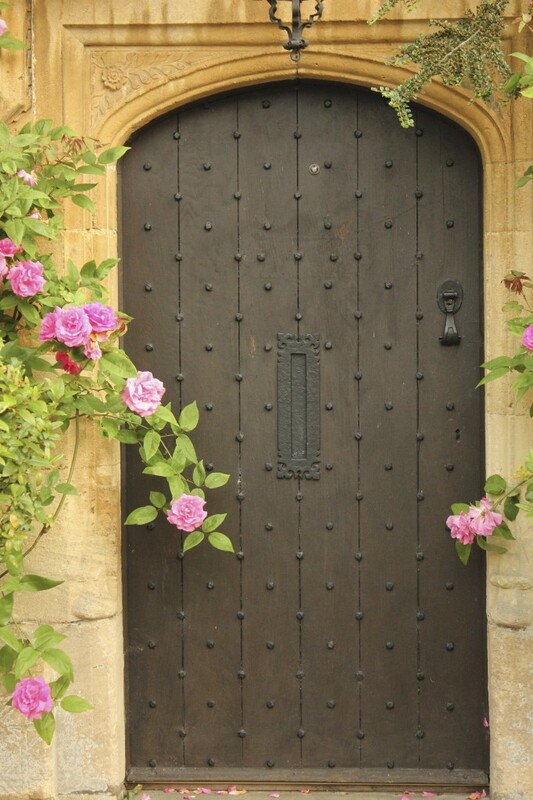 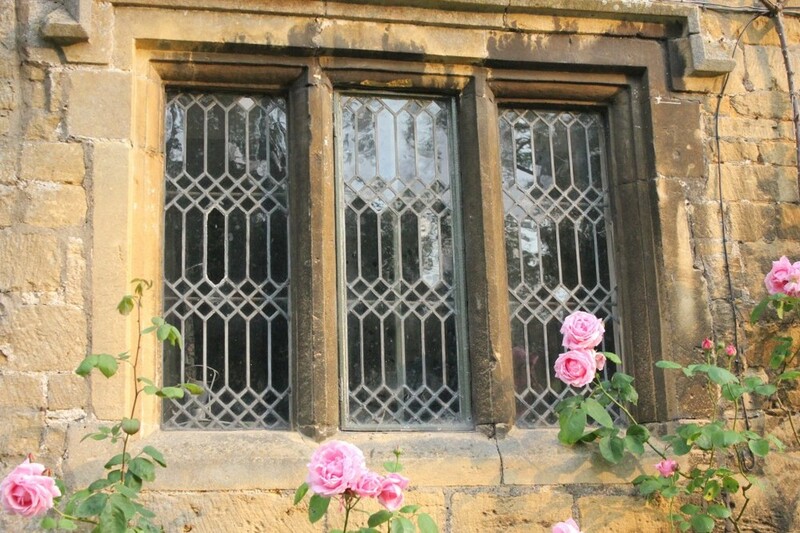 Old roses and cotswold stone go perfectly together. 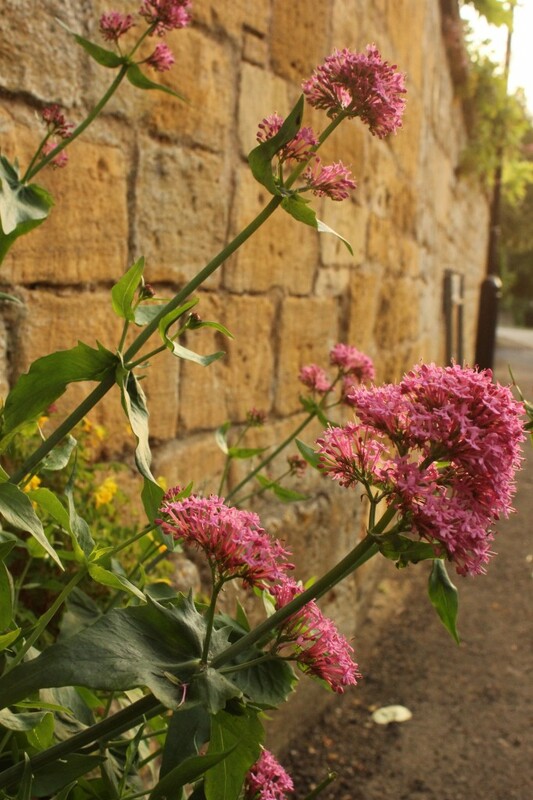 Pink Valerian seems to be a favourite in the Cotswolds. 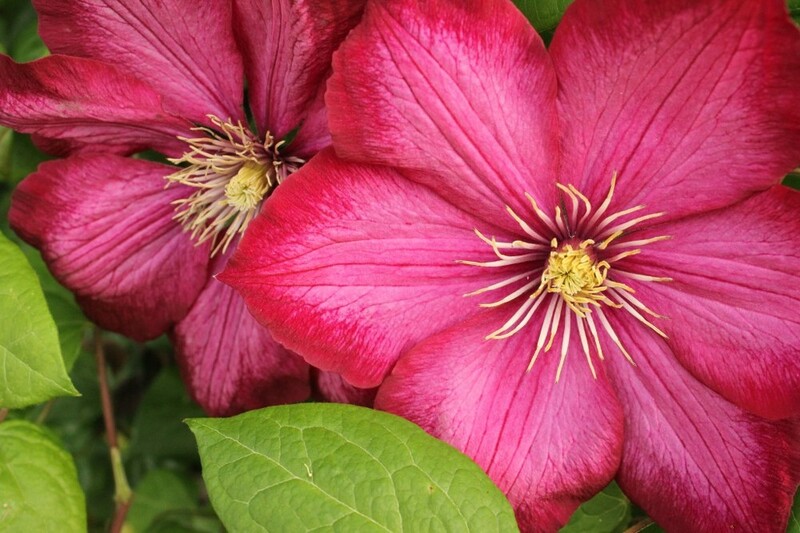 Clematis seems to climb around every doorway, again looking amazing with the stone.